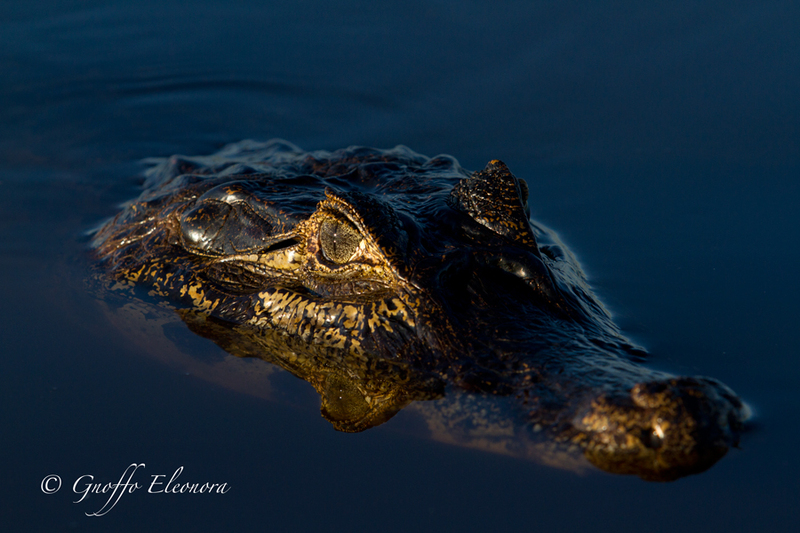 My Trip to The Pantanal. 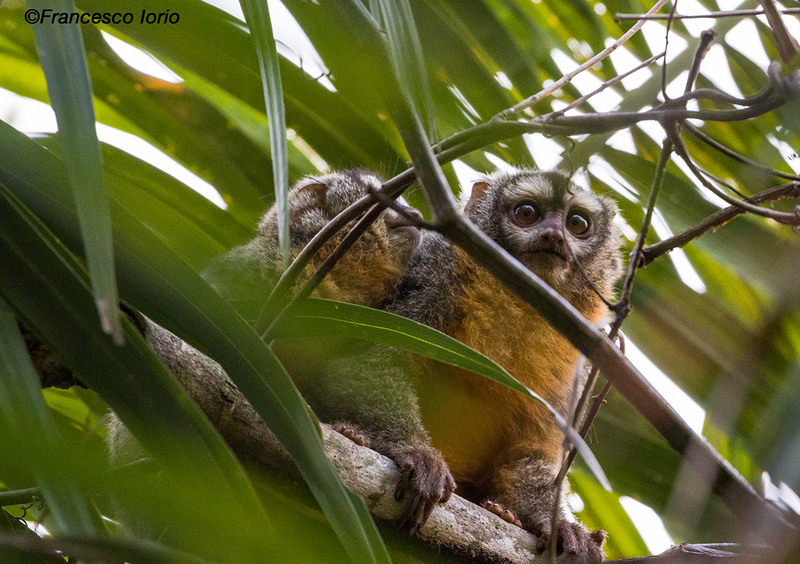 "Ric and his team organized a wonderful trip to Ubatuba and Itatiaia National Park to see into birds of the Atlantic Forest. 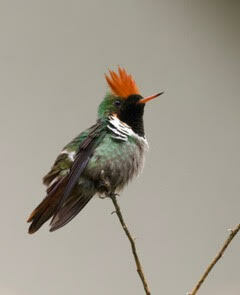 Marco, Hudson and Samuel grudged no pains to discover many colorful and endemic birds. I was truly amazed how knowledgable and skillful they were. The bird life in and around the Forest is just overwhelming. The private accomodation near Ubatuba is a true small paradise with a huge garden full of birds and its owner a keen cook. All in all a memorable experience not to be missed." 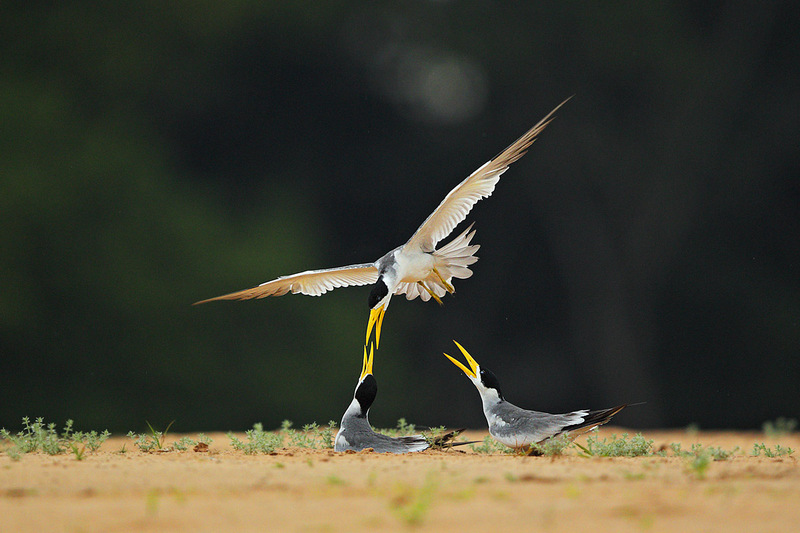 Some pictures from the Italian Wildlife Photographer Carlo Cinthi. Hi Ric, Just some words to tell you our global satisfaction about all the visit in Pantanal. Flavio, the boatman Chude, the staff on board of the house boat, everything was perfect, even in the posadas on the road. Thank you for your business with us. Marty and I wanted to let you know how much we enjoyed our Pantanal Jaguar Safari and how great Max was as our guide. Max must have eyes all the way around his head, because he found so many animals and birds that were completely invisible to us. And he was able to identify them based on a just a growl or a tweet or the barest glimpse behind leaves in a tree. He also spent a lot of time with us on the Jacaré Houseboat answering our questions about wildlife and telling us about his own experiences in the Pantanal. Our room on the Jacaré was very comfortable, and the ladies who cooked did a great job keeping us well-fed and happy. Our boat driver, Shoe (not sure how his name is spelled) made a terrific team with Max in spotting hard-to-see creatures and in getting us to all the jaguar sightings in record time. We also enjoyed the company of the Jorgensens from New Zealand. Thanks for all your help in creating this spectacular vacation. Hi Ric, a quick email just to say a very sincere thank you for our tour into the Pantanal. We thoroughly enjoyed the itinerary and both of your people, Flavio and Jon, they were great to be and interact with. Will send you a copy of the Blog. We just returned from our 5days/4 night Safari split with Porto Jofre Jaguar/Pouso Alegre land safari. We had Doug as our guide and Bosco as our driver. Doug and Bosco were the puzzle pieces that completed our PERFECT photo adventure. Some of our favorite moments of the trip were sitting and getting to know them. There was never a moment that Doug didn't have an answer to my 10,000 questions :). 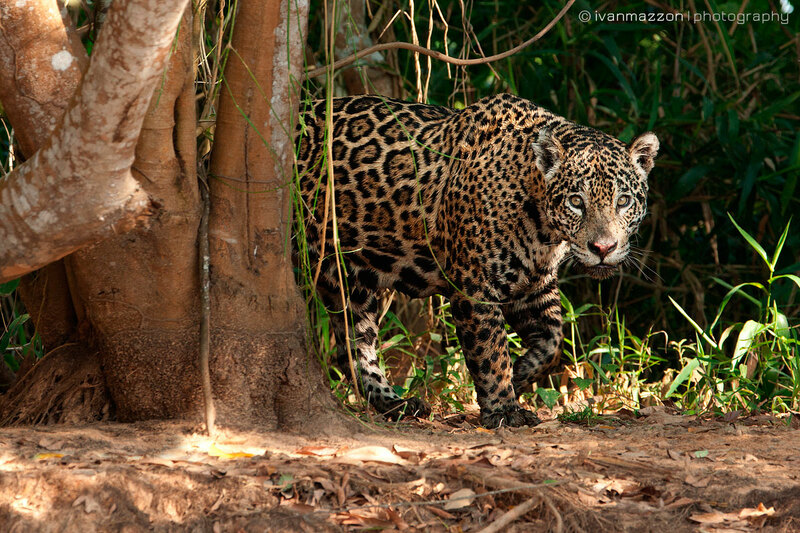 We spent 4 hours following a Jaguar hunting for food along the river. 90% of the animals on my list were sighted...multiple times. 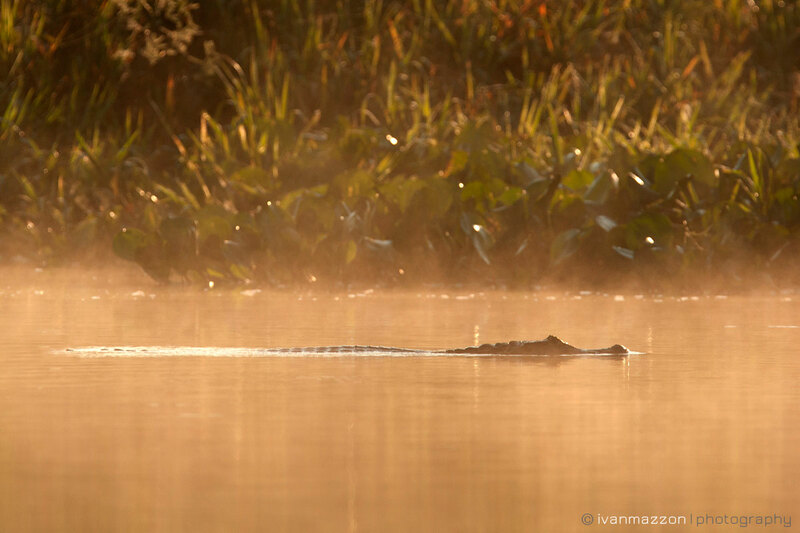 We have experienced guided adventures all over the world, hats off to Wild Pantanal! 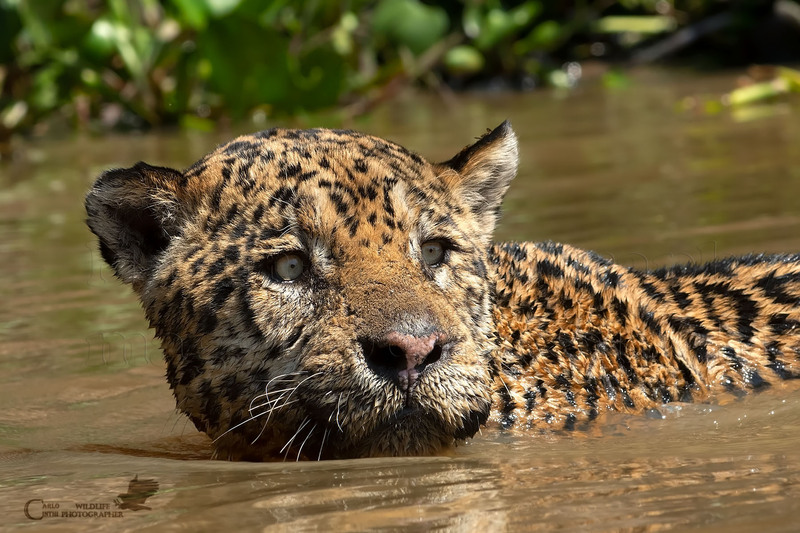 We had heard about the great sightings of Jaguars in the Pantanal and our group of eight decided to book a trip there along with a visit to Iguacu Falls and also a few days in Rio. After doing some research we booked with Wild Brazil / Wild Pantanal wildlife tours. After E mails with the owner Ric, he created a custom tour that would fit all our needs. We wanted every thing of course but with the Jaguar sighting being the thing most of us wanted to see. Well we just returned from the 11 days in Brazil and we can say it was one of the best tours our group had ever been on. Ric and his team of guides, drivers and lodge hook ups went as smooth as possible with no complaints from any of us. 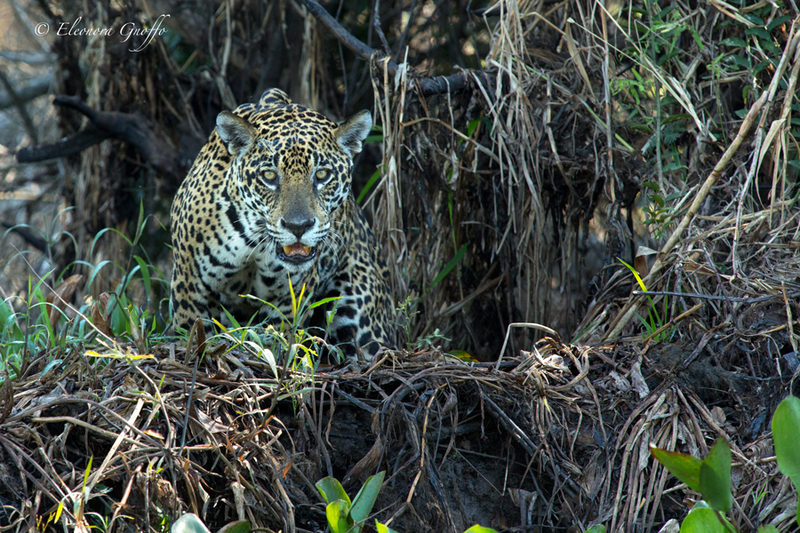 We had 3 great Jaguar sightings, one for almost two hours while it slowly hunted down the river. We had 141 birds and all kinds of mammals along with reptiles. Our time in the Pantanal was Oct 30 to Nov 5. The weather was fine except one afternoon deluge which was cool to be in while out on the river! We really cant say enough about our experience and how well things ran. Ric also completely booked our Iguazu falls adventure as well as setting us up completely with Rio hotels and drivers as well as one of the best guides we have ever had. 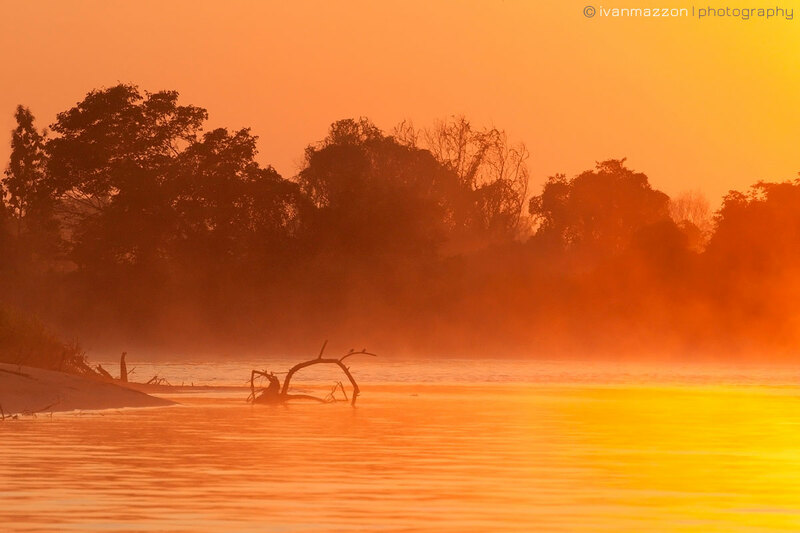 We look forward to returning to the Pantanal again and will not think twice about using the services of Wild Brazil. - Day 1: pick up at Cuiabá airport at 8h30, then a drive to Piuval lodge on a van with AC (about 1h30 I think). A 1h walk on the woods near the lodge. Rest and lunch at noon. At 3pm another walk in the woods around lodge (about 2h). Rest and dinner at 7pm. At 8pm night safari for about 1h. - Day 2: early morning walk from 5-6:30am, then breakfast and horse ride from 8-10am. Rest and lunch. Transfer to Pouso Alegre lodge. Walk in the area around the lodge. Dinner and night safari for about 1h30. - Day 3: early morning walk from 5-6:30am, then breakfast and another walk. Lunch, rest and transfer to Rio Claro lodge. We drove past the lodge and kept going along the Transpantaneira to spot animals crossing the road and got lucky: tapir, greater anteater, jaguarundi. Then back to the lodge for dinner. No night safari on this day. - Day 4: early morning walk from 5-6:30am, then breakfast and another walk. Lunch, rest, and a 2h boat ride along Rio Claro. Back to the hotel, dinner and night safari - no luck today, we saw only a racoon. - Day 5: we were pretty tired so we skipped the morning walk, had breakfast and another boat ride (we had the option to go on another horse ride but chose the boat). Lunch, rest. Then at about 3pm we drove back to our hotel in Cuiabá. Piuval lodge was by far the most tourist friendly. They had a swimming pool, hammocks outside each room, afternoon snacks and coffee, a recreation area with foosball tables, volleyball field, and a nice view of the open fields. Pouso Alegre was a lot simpler, basically the rooms and restaurant but I found the food was better. A group of about 8 blue macaws was always there so we had the chance to really observe them. The night safari was also by far the best one, when we saw 5 tapirs, 2 lesser anteaters and a racoon. Finally Rio Claro was also more touristy, and the boat rides were quite nice. Altogether we saw a great deal of animals: howler monkeys, capuchin monkeys, a tiny monkey (name? ), foxes, deer, peccaries, agoutis, tapirs, greater and lesser anteater, racoon, giant otters and a jaguarundi puma. We saw a number of parrots: the blue macaw, monk parakeet, black hooded parakeet, and at least 2 other species I can't name. There were lots of Jabiru and Spoonbills and obviously caiman. We saw some toco toucans and a araçari. Many smaller birds, many of which were quite colorful like the Poroaria capitata and Icterus croconotus. We saw some woodcreepers and woodpeckers too, lots of birds of prey. We didn't see any jaguars, but we saw fresh tracks around Piuval lodge. We were very happy with WP. The program was as advertised. Our guide Jon was excellent at spotting animals and being born in the Pantanal he knows the area and the animals and their habits. He was also able to tell us a lot about how tourism has evolved around the area. He was a careful driver and was always careful not to strain us too much - the heat is unforgiving. Only on a couple of days where we had cloudy skies did we venture outside by ourselves after lunch before returning for the afternoon activity. They don't have as many reviews as other companies that people mention here, but they have very competitive prices and their website gave us a good impression, so we decided to take a chance and were very happy with them. Douglas was waiting for us and started taking care of us immediately. He was professional and personable right from the get go and we enjoyed our drive down to Piuval, with a stop or two to get supplies (including some deodorant and toothpaste that was in our missing luggage). We got to know one another on the drive down and he involved Ren in the conversation and asked lots of questions and told us a lot about the flora and fauna, as well as the history of Brazil, and the detailed itinerary for our trip. After eating dinner, we took a night drive. We were about 75 yards down the long drive when Douglas spotted a tamandua! We watched as he walked across the field and climbed a tree and disappeared. We continued our drive, ultimately seeing a crab eating raccoon, a crab eating fox, lots of caiman, a fish eating bat, other birds and a tapir. We saw a couple of others on night drives and they did not see anything that we saw. Douglas was a great wildlife spotter. The following morning at Piuval, we went horseback riding, which was a lot of fun. Ren had not been on a horse before and he particularly enjoyed it when we went through the water! Douglas was great and pointed out lots of different birds, including the Tiger Heron which quickly became Ren's favorite. After the horseback ride, we walked a trail and found capuchins and went up the watch tower and saw a giant anteater. That afternoon, we went on a driving safari with another group. Their guide was kind of loud, which made it a little less enjoyable, and was constantly asking Douglas questions, which Douglas handled very professionally while he was still constantly scanning for animals to identify. At the end of the road (close to the lake with the long bridge and watch tower), we saw blue maccaws, howlers, a great horned owl, and lot of parrots and other birds. We took an early morning walking safari on our last day at Piuval. We saw an agouti and some birds but not much else. We then worked on trying to figure out where our luggage was and, as you know, ultimately drove back to Cuiba to retrieve it. A quick note on Piuval: the accommodations were nice and the food was fine. There were a lot of young (and loud) children when we were there, which Douglas said was unusual. I like kids just fine but they were pretty loud and obnoxious. Also, some of the other guests helped themselves to some of the water in the five gallon bottle that Douglas had left outside of our room! No big deal though and we told them it was not a community bottle. After retrieving our bags, we headed down the Transpantaneira highway towards Porto Jofre. Again, we had great conversation with Douglas, who by that time had already had a long day and it was not even half over. We talked on a wide variety of topics – Brazil, the US, politics, education, biology, animals, etc – and had a really nice drive. Plus, of course, we got to see more animals, including an anaconda on the road just before we got to the hotel and a beautiful sunset. Douglas was great about stopping the truck and letting us explore safely along the road and get as many pictures as we wanted. He was patient and informative always. Dinner at Porto Jofre (and all the other meals afterwards) was great, as was the room. Douglas got us all checked in and gave us the appropriate safety talk. We met for breakfast the next day (and every following day) at 6. Now, for a 12 year old, that's really early but Ren was excited to get up and go search for Jaguars. Our driver was Beto, and he was great. We had a successful morning, spotting a jaguar, lots of river otters, caiman, capybaras and innumerable beautiful birds. Douglas was great, talking in detail about all of them and he was an amazing bird spotter. He clearly has a great love and knowledge of them, which was contagious and really got Ren excited about them too. Pretty soon Ren was spotting and identifying them too! The afternoon brought two more jaguars and a confrontation between them and a river otter family. Not surprisingly, there were about 15 other boats at that sighting but it was ok and we were able to be located in a prime viewing spot. Dinner soon followed and a game of pool/billiards in the game room and then an early bedtime. The following day brought two more jaguars and giant river otters, along with many birds. Douglas spotted a very cool lizard and some really interesting species of hawk, and had a great conversation with Ren about how the bubbles/foam in the water was caused by decaying water lilies in response to a question from Ren. Constantly, douglas was sharing his love of the Pantanal with us and answering all of our questions, and Ren had a lot of questions! That afternoon, Douglas spotted a jaguar hidden in dense brush and we had it all to ourselves for about 10 minutes before it wandered back in the jungle. Our last full day at Porto Jofre was absolutely freezing. We did not see any jaguars in the morning but we saw some other cool things including a male Marsh deer swimming across the river and a giant river otter mother swimming with her baby in her mouth. That afternoon, we saw four jaguars including the first two which Beto spotted from a great distance, howlers and lots and lots of birds. When we got in the car to start the drive back to Cuiaba, Ren said "Douglas, I just want you to know, that when you drop us off at the hotel tonight, I'm going to give you a hug." Without missing a beat, Douglas replied "I'm going to give you a hug too. That's how we do things in Brazil!" 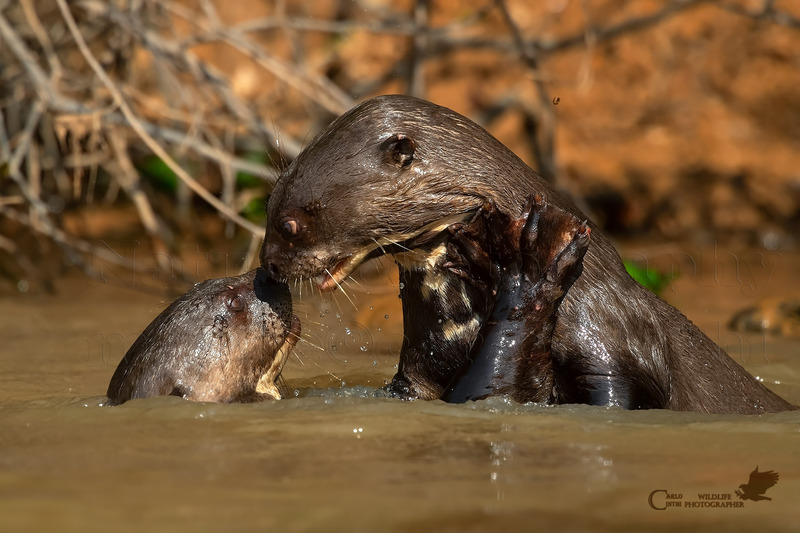 That exchange really sums up well our time in the Pantanal with Douglas. He shared with us his love of the animals and ecology of that very unique environment. He was personable, open, engaged, professional, kind, smart and funny. He never once got frustrated with Ren (or me!) or anyone or anything else. I never saw him frustrated or aggravated even while he was working on our luggage issues or making the drive to and from the airport to retrieve it. I honestly cannot say enough positive things about Douglas and the way in which he represented your company. I would be happy to serve as a reference for any future travelers who are considering using Wild Pantanal and Douglas. If you have any specific questions about the trip, please let me know. Thanks again for all the work you did to make this trip one that Ren will remember always (as well as your behind the scenes work on our luggage issues too). Ric, A big Thank you for making our trip to Pantanal an amazing experience, the three brother lodge is fantastic and due which we could spot 4 Jaguars, each in every ride, birding is also great in the area, your selection of English speaking guide Jo is the highlight of the trip she is knowledgeable and very passionate of explaining and showing us the wild life in Pantanal, your support in extending our stay at Rio Claro did help us to relax a bit longer rather staying at airport due to change in the flight departure, the trasport you offered is excellent did not feel the bumpy road, overall a great trip. One suggestion for vegetarians as it is tough since there are not many options also Indians eat spicy food so may be as you receive more requests from Indians think about how to get some variety which is simple to make or if the kitchen can provide some options guests can cook one or two simple vegeterian dishes. But this is not a must as we too must learn to adjust in a different country. Our Amazon trip was also great we stayed at a camp with INPA director and research students it was very unique experience. All of us are recovering from exhaustion after 35 hr journey back to India. Once again thank you for a memorable Pantanal. Once fully recovetd i will provide my feed back on Trip Advisor and Google. Spent a great 14 days in the area with Wild Pantanal. My guide Flavio was exceptional in spotting birds and wildlife. Saw 8 separate jaguars including a hunting sequence and interaction with giant otters in 4 days. Saw 6 tapirs in two nights and walked with the anteaters in broad daylight...Amazing experience and hope to come back again. Sono appena tornato da un tour organizzato da Wild Pantanal ed è stato spettacolare, non solo abbiamo visto tutto quello che era possibile vedere ma siamo stati affiancati da personale sempre all'altezza, professionale e attento. I problemi, che sempre si presentano in questo tipo di viaggi, sono stati affrontati con rapidità e professionalità. Ric è veramente preparato e disponibile ed è anche un fotografo, è comodo avere un organizzatore che capisce al volo le tue necessità senza perdere troppo tempo! Hi Ric, we just wanted to say a huge thank you to you and your team. We had a wonderful trip down the Transpanteria to the flotel and the wonderful Pantanal. We particularly appreciated the stops en route with explanations and time to view, watch and photograph the wildlife (something which isn't always done by other companies we discovered in conversations with other flotel guests). 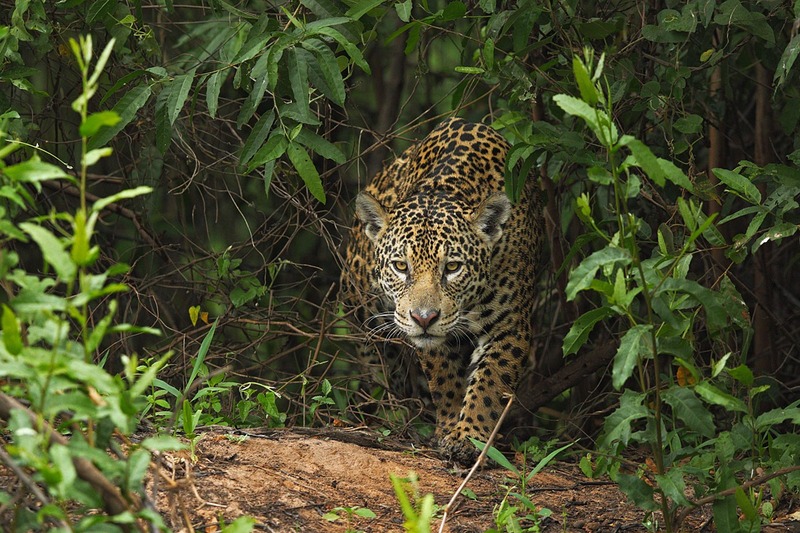 We also loved the fact that finding jaguar was a really key focus and the other wildlife came after that (something that didn't happen for us on our Amazon trip). The viewings were amazing (even when we were sitting in the pouring rain! ), the guiding good and the food and accommodation lovely. So, thank you again. Much appreciated. 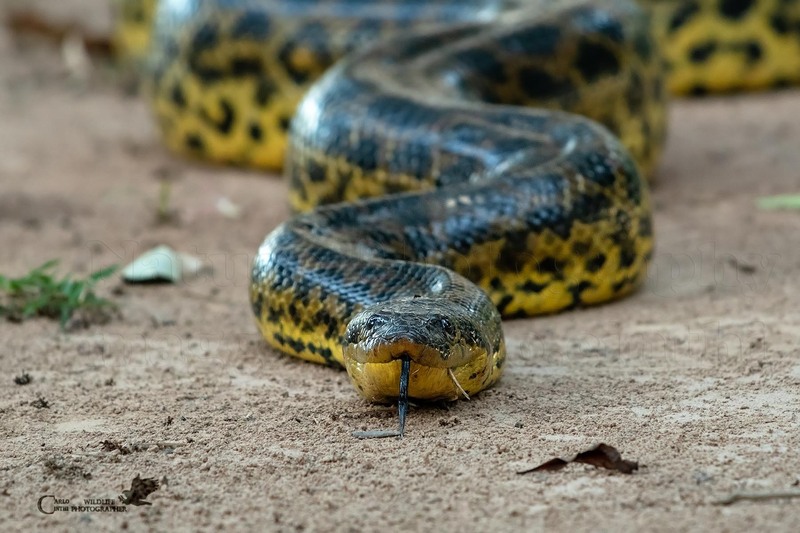 Siamo stati nel Pantanal lo scorso agosto, in quello che speravamo fosse il miglior periodo per l'avvistamento della fauna locale e non ci ha delusi: con Riccardo, uno dei fondatori di Wild Pantanal, abbiamo strutturato il tour dedicando la prima metà alla scoperta della fauna della zona, mentre la seconda dedicata al signore di questi luoghi, il giaguaro. Abbiamo centrato praticamente tutti gli obiettivi del viaggio: giaguaro, ara giacinto, formichiere (sia il tamandua che quello gigante), tapiro (ben cinque), caimani, scimmie urlatrici, anaconda (due esemplari diversi) solo per citare gli animali che ritevo più icononici e che desideravo fotografare di più. Oltre a questi il Pantanal ci ha riservato una sconfinata serie di uccelli, personalmente ho fotografato circa 50 specie diverse, tra cui 3 diversi tipi di martin pescatore, 4 diverse poiane, 3 tipi di avvoltoi, tucani, aironi, gufi e molto altro. Non sono mancate anche le gradite sorprese come l'aoto di azara, obiettivo talmente difficile che non avevo nemmeno inserito nella mia personalissima lista. Volevo ringraziare le nostre guide locali, Jon e Chaco: sono state professionali, premurose, instancabili e simpatiche, con cui abbiamo condiviso anche i pasti, senza mai farci annoiare nemmeno nei momenti piacevoli di puro relax; inoltre sottolineo il carattere anche fotografico dell'agenzia, Riccardo è un fotografo e si riflette sulla filosofia del viaggio, le guide non si limitavano ad avvistare gli animali e ad identificarli, ma sapevano come posizionarsi correttamente per permettermi di avere le migliori condizioni di luce e di composizione. Un approfondimento sul giaguaro: li abbiamo avvistati tutti i giorni ed in alcune occasioni anche più di una volta nella stessa escursione, sono rimasto piacevolmente sorpreso dall'attività dei giaguari durante il giorno, sono molto attivi ed il più delle volte li abbiamo trovati intenti a cacciare, è stato bellissimo seguirli lungo le sponde mentre scendevano e risalivano in cerca di prede. Abbiamo anche assistito dal vivo ad una scena di caccia completa, ripresa anche dalla National Geographic, in cui una femmina di giaguaro tendeva un agguato a dei capibara. 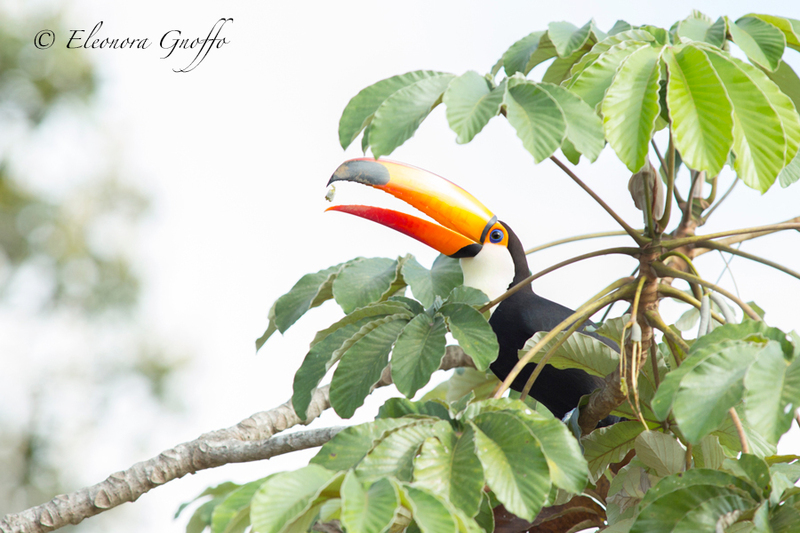 My wife and I booked a photographic tour of the Pantanal with Trogon Tours. Wild Pantanal Expeditions organized the trip and arranged for our Guide. Ric, the owner of Wild Pantanal, met us on arrival in Cuiaba, insured that we got to the hotel, briefed us on our itinerary at dinner and answered our many questions, then got us organized the next morning for our van ride down the Transpantaneira Highway to our first lodge. He had contracted with drivers and with Bianca, a bilingual, guide, to accompany us throughout our trip. 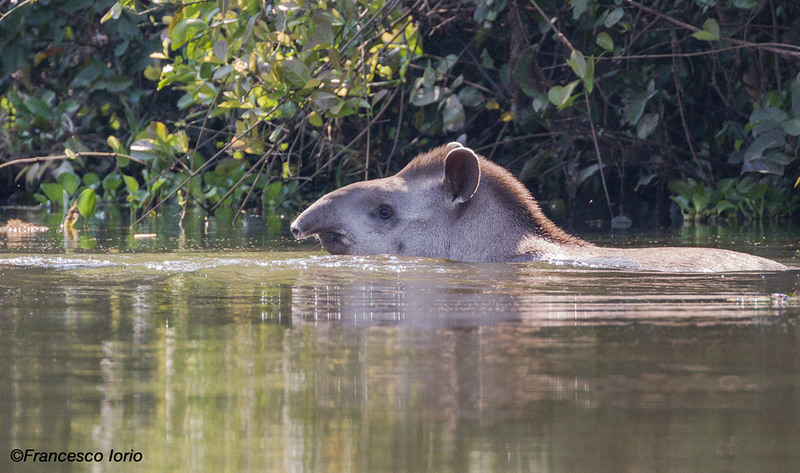 He checked in with us from time to time, as we were one of several groups Wild Pantanal was supporting. At the end of our trip, Ric also provided transportation from our hotel to the airport, and insured that we all got safely on our way home. The service provided by Wild Pantanal Expeditions was exceptional. Ric was very attentive to our needs and our schedule, as we shuttled between four lodges over almost two weeks. Bianca was an excellent source on the animals and birds of the Pantanal. She worked very hard with my wife and the other four photographers in our group to get them in contact with the animals they had come there to photograph. Since I am not a photographer, Ric had arranged for a fishing guide during our four-day stay on the Jacare Barco floating hotel as part of our tour. Prior to the trip, he provided me with information on fishing in the area, which was very helpful in my preparations. 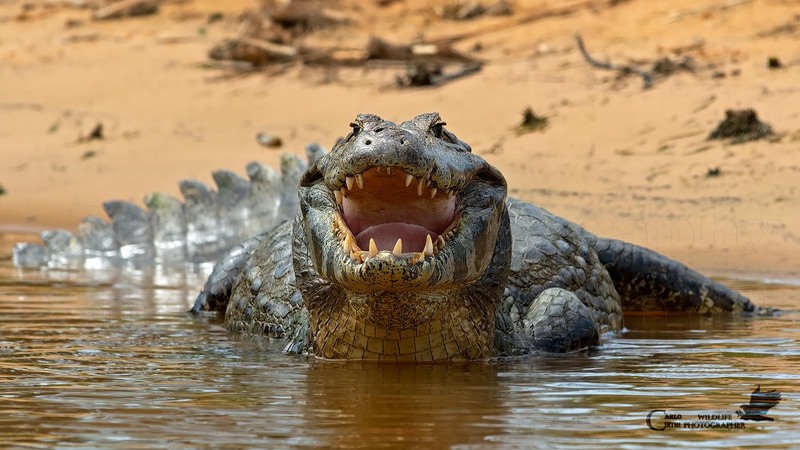 Should we return to the Pantanal, which according to my wife will be very soon, we will certainly be contacting Wild Pantanal Expeditions to set up our trip. Eventually, I will post something on Trip Advisor, but having just arrived home from a trip that included 2 nights in the Pantanal, I had to write. The trip was INCREDIBLE!! Best 2 1/2 days I ever spent on a holiday, without a doubt. Pablo Gonzalez, our guide/friend in Ecuador, arranged the trip for us and you, Ric, kindly provided us with an excellent guide and driver: Flavio and John, respectively. We couldn't have asked for more personable or knowledgeable guides. Between them, I believe they spotted every animal, bird, creature, tree, etc. that we passed. They went out of their way to show us the Pantanal and they are an awesome team. Flavio's English is impeccable, and he is one of the most observant and thoughtful guides I ever knew. If we mentioned something to him, he tried to make it happen. Wonderful!! They were knowledgeable, patient, kind and fun—all at the same time!! The folks at the Rio Claro Lodge were also welcoming, especially Giselle, who worked in the reception area. While her English is rudimentary, she is certainly trying and she was very sweet and helpful to everyone who came in. She is efficient, organized and very capable!! 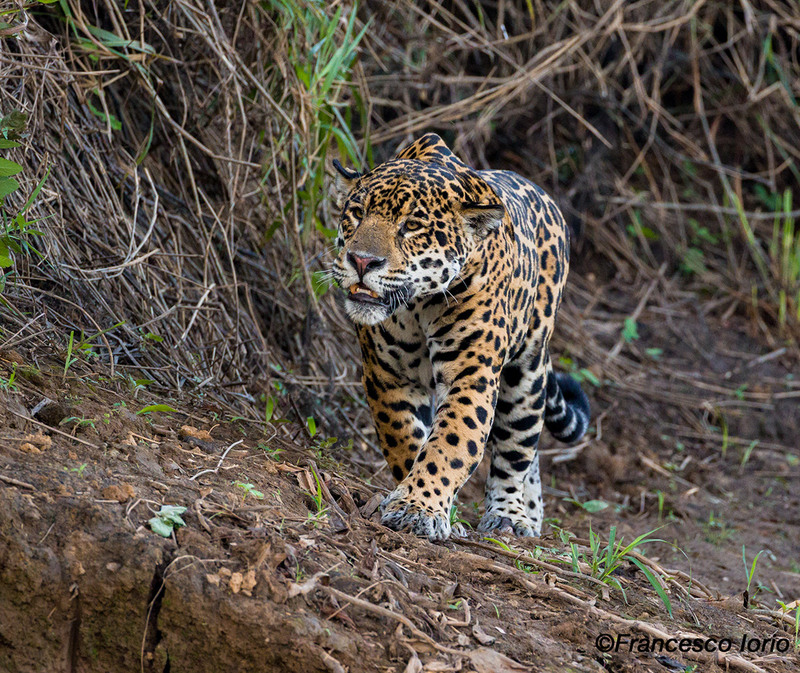 I rarely return to a place where I've been on holiday, but I hope some day to return to the Pantanal and perhaps next time get to see a jaguar!! Many thanks for providing such a great experience!! Ric was very helpful arranging my stay, very responsive & informative. Chaco was a fantastic guide, who did his utmost to find all the animals...getting up before sunrise every morning, taking me for walks during the day and at night, and driving up and down the Transpantaneira by car various times. Had a fantastic 3 days with a great guide, lovely people and many wonderful animals :D Thanks! Amazing experience with Wild Pantanal. Extremely well organized and very knowledgeable and motivated guides that know the beautiful nature of pantanal and its wildlife almost perfectly. 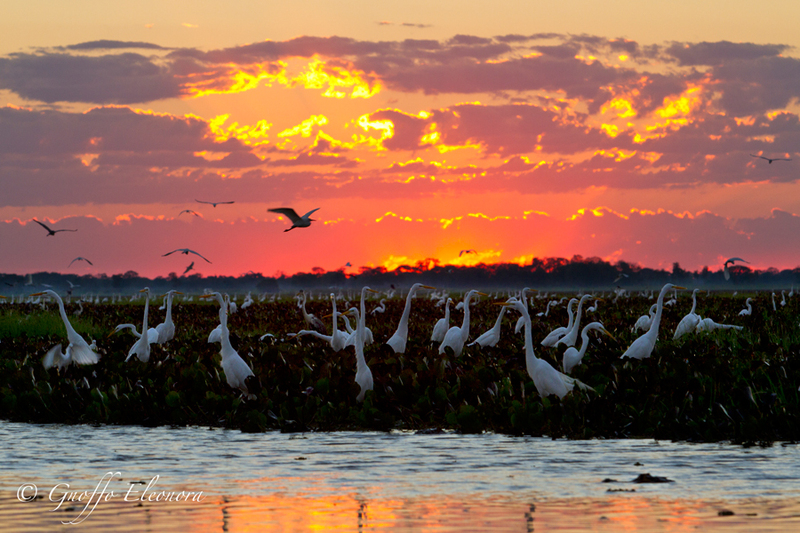 I can recommend to everyone to book their tours through Wild Pantanal. Amazing!!! Tour organization excellent!! Hope to come back again.... I suggest this experience. Top!!! We had such a beautiful time!! Pantanal is an amazing place, and the tour organization was perfect! Looking forward for another tour soon! Awesome place to get to see a lot of wildlife. Piranha fishing was one of top experience in the life! We were very satisfied with the itinerary. Our guide (Jardes) was very kind, knowledgeable, attentive and reliable. Our trip was quite exhausting. We think that there were too many night and morning safaries planned in the itinerary. Nevertheless we enjoiyed our time in the Pantanal a lot and would highly recommend Wild Pantanal and Jardes to other visitors. Brilliant experience. Everything was awesome. Highly recommended to anyone interested in the pantanal. Il Pantanal non ha certo bisogno di grandi presentazioni, e se siete arrivati a leggere questa mia recensione significa che siete già a conoscenza di questo incedibile ecosistema. Una grande pianura alluvionale che per diversi mesi all'anno è completamente sommersa dall'acqua e per i restanti si prosciuga quasi totalmente ad eccezione dei fiumi. Vanta una grandissima biodiversità e una delle maggiori concentrazioni di flora e fauna di tutto il continente americano. Un paradiso per i birdwatcher grazie alle numerosissime specie di uccelli che popolano la regione. Io, in compagnia di altri amici, sono venuto qui con la speranza di vedere e fotografare il felino più grande del continente, il giaguaro, che qui regna indisturbato e ci sono ottime possibilità di vederlo durante il giorno mentre riposa o va a caccia lungo le sponde dei fiumi, a differenza invece di altri luoghi del centro e sud America dove è attivo principalmente di notte. Il viaggio è durato 10 giorni, voli compresi, di cui 5 dedicati esclusivamente alla ricerca del giaguaro. Il grosso felino siamo riusciti a vederlo almeno una volta tutti i giorni ma non sempre è stato possibile fare buone foto. Gli ultimi due giorni sono stati i più prolifici e ci hanno permesso di portare a casa migliaia di scatti grazie a due esemplari in particolare, una femmina che ha percorso un lungo tratto della sponda del fiume in bella vista e il famoso maschio del video dell'attacco al caimano che si è concesso diverse ore mentre andava a caccia lungo il fiume. Purtroppo l'atto finale della predazione non c'è stato ma ci ha regalato ugualmente grandissime emozioni. Tuttavia non ho fotografato solamente il giaguaro, anche moltissime altre specie di animali, per non parlare del paesaggio stupendo che offre moltissimi spunti fotografici. Per un appassionato di fotografia, che si reca qui con lo scopo principale di fare foto, consiglio di portarsi un gran numero di schede di memoria perchè di scatti se ne fanno all'impazzata, io ho portato a casa più di 7000 immagini. 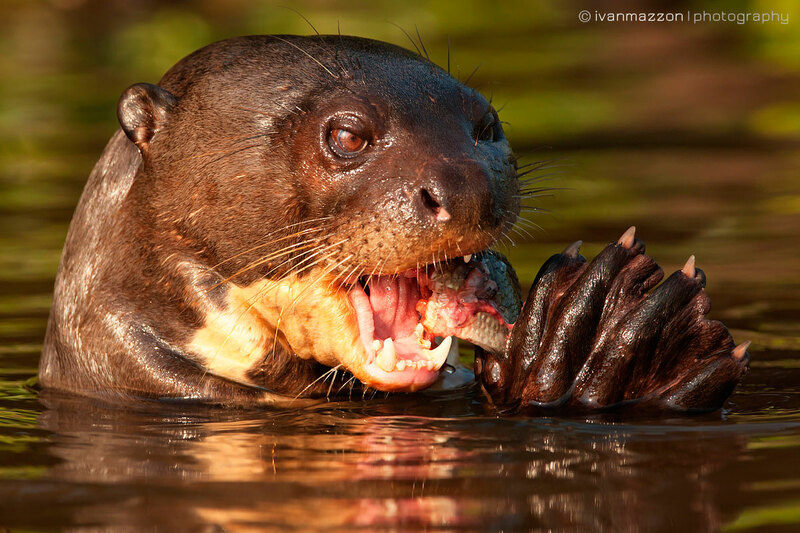 La lontra gigante, inserita fra le specie a rischio di estinzione nella lista rossa della IUCN, il caimano jacarè, il capibara, l'ara giacinto, la cicogna jabirù, l'airone bianco maggiore, la cicogna americana, 3 specie di martin pescatore, l'airone plumbeo, la poiana nera maggiore, la poiana dal collare nero, gli urubù dalla testa nera, iguane ecc ecc; sono solo alcune delle specie di animali che abbiamo visto e fotografato grazie sopratutto alle due guide molto preparate, Ric e Joao, i fondatori di Wild Pantanal. Purtroppo quando ti trovi bene e ti senti come essere a casa i giorni volano, anche perchè devo dire che gli alloggi erano molto accoglienti e il cibo era veramente ottimo e ricordo con piacere i piatti stracolmi che mi facevo al buffet sia a pranzo che a cena. Sicuramente sarà un viaggio che tornerò a fare perché mi è rimasto nel cuore. Siamo nel Pantanal, alla ricerca del giaguaro. Devo dire che appena ho visto la vegetazione delle rive ho pensato "non lo vedremo mai!". E invece una decina di avvistamenti li abbiamo fatti, e approfittando del fatto che caccia spesso lungo le rive del fiume, in questa zona dove gli esemplari si sono abituati alle barche, siamo a volte riuscito a seguirlo a lungo, in mezzo a cespugli e spiazzi. Questa una delle migliori occasioni, luce a parte, per la posa che ha preso l'esemplare venuto allo scoperto dopo un percorso invisibile nella foresta, proprio dove avevamo scelto di piazzarci. Ci siamo divertiti un mondo a vederlo passare decine di volte a dar fastidio all'altra coppia. Peccato non essere vicinissimi. Essendo sulla barca ho scelto di non usare il moltiplicatore e tenere tempi abbastanza alti. Pantanal. Un sogno nel cassetto realizzato! Dopo anni di visioni di documentari e la speranza ormai persa di poter visitare questo luogo straordinario, finalmente grazie a Wild Pantanal, nell'agosto scorso sono riuscita a realizzare tale sogno. Un paradiso per gli amanti degli animali e di paesaggi mozzafiato, un viaggio dove la Natura nella sua pienezza e nella sua straordinaria bellezza, la fa ancora da padrona. L'ottima organizzazione da tutti i punti di vista sia relativamente alla scelta delle posadas nonché della logistica, l'esperienza, la conoscenza e la grande competenza e professionalità delle guide, ci hanno permesso di poter godere a fondo ed a pieno questo incredibile viaggio. Dodici giorni a stretto contatto con la natura in compagnia di due guide : Ric e Joao che oltre alla loro competenza e professionalità hanno rivelato una grandissima simpatia. Un viaggio che consiglio vivamente a tutti gli amanti della natura e della buona compagnia!! Ottima organizzazione... giuda disponibile e altamente qualificata!!! Raccomando.... Otima organizaçao, guia muito disponivel e muito boa!!! recomendo!!! In April of 2014 my family visited the Pantanal, Bom Jardim, and Chapada dos Guimares in Mato Grosso, Brazil. We signed up for a 4 day tour with Wild Pantanal. We found Ricardo to be very professional and helpful as we planned our trip via e-mail. He responded promptly and patiently to all of our many questions. We were met by João, our guide, at the airport in Cuiabá, and spent the next 4 days with him. He was also professional, knowledgeable, and fun, as he drove us around the Pantanal and then up to Bom Jardim and finally parted company with us in Chapada Guimares. For us it was more important to avoid the crowds and enjoy the beauty and tranquility of the Pantanal, than to see all the animals, so we chose to go right after the wet season when there are few tourists. We did see plenty of gorgeous macaws, tucans, and parrots, and many other beautiful birds, some animals and lots of alligators. 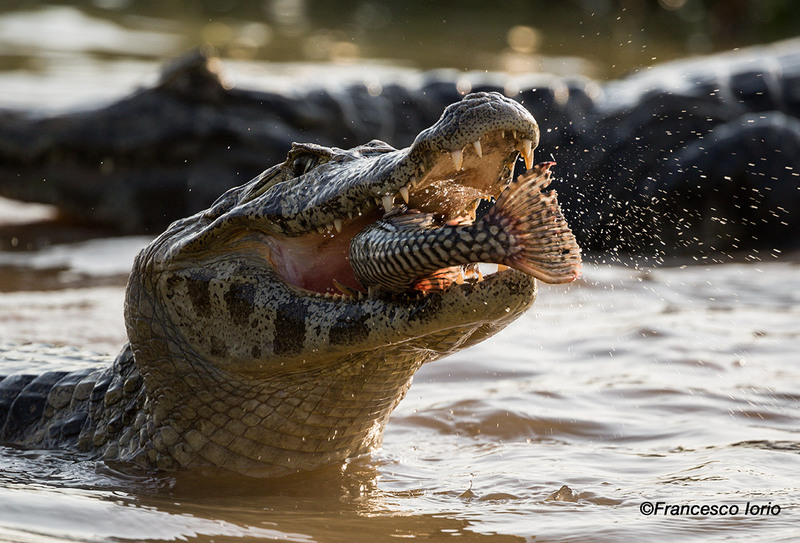 If you are planning a trip to the Pantanal, I highly recommend arranging your trip with Wild Pantanal.